Before processing your NCOA update, TrueNCOA must first verify, validate, and perform hygiene on your input records according to USPS standards. In this post, we provide an explanation of this process and provide some helpful links to some of the resulting error and warning codes related to deliverability that you may receive in your export file. If you have any questions or need help, contact us at support@truencoa.com. To qualify for bulk mailing discounts, the USPS requires documentation that a mailing list has been CASS certified. Once you have processed and exported a file, TrueNCOA allows you to download your CASS report from the file display page. 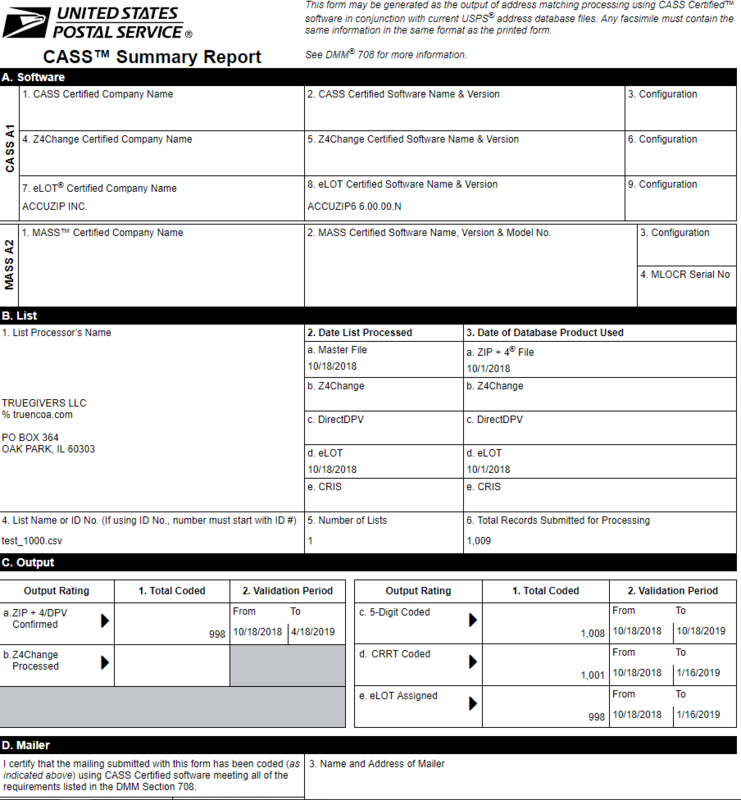 After your file has been exported simply click the CASS Report button at the top of the file display page to view and download your CASS Report.